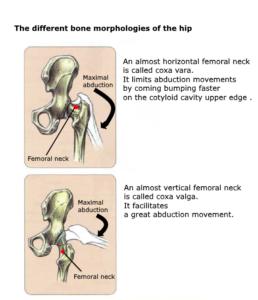 Without taking into account the individual differences in muscle elasticity and ligament laxity, it’s bone shape of the hip joint that determines the main variation in hip mobility. 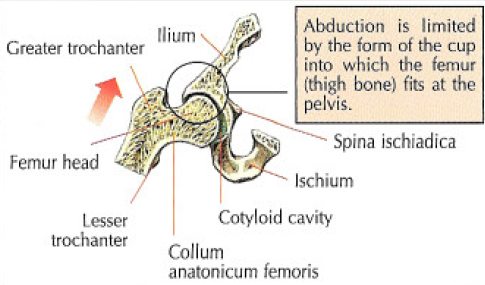 It’s mainly in the amplitude of hip abduction that bone configuration plays an important role. 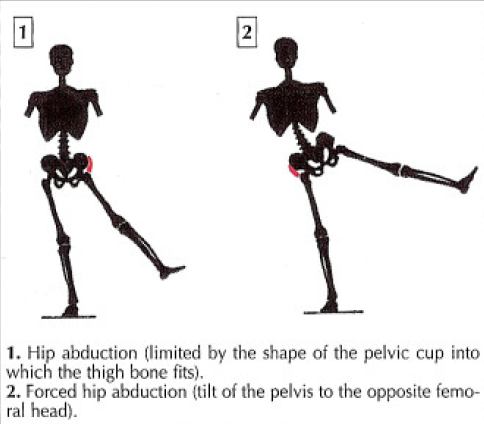 An almost horizontal femoral neck (coxo vara) with an upper edge of the important cotyloid cavity and covering, will limit abduction movements. 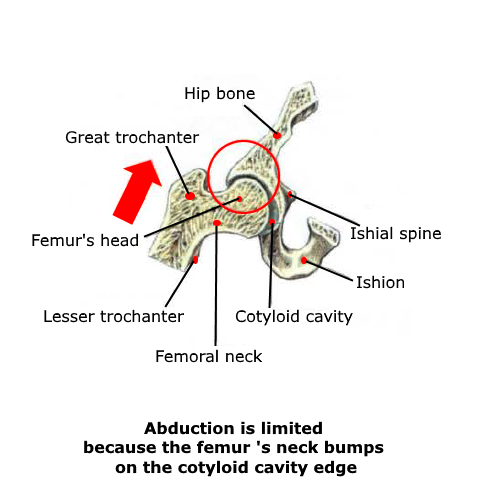 An almost vertical femoral neck (coxa valga) with an upper edge of the less important cotyloid cavity will facilitate abduction movements. 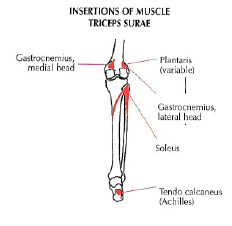 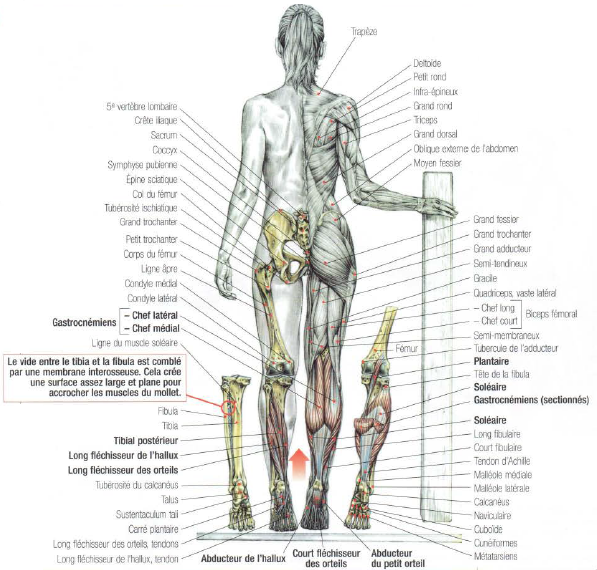 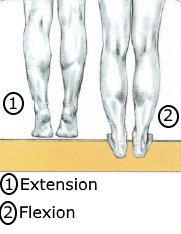 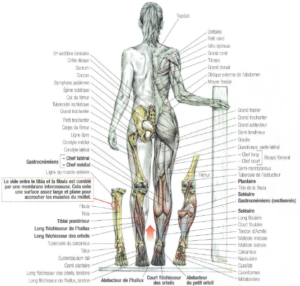 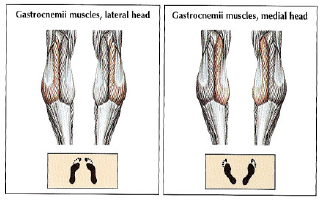 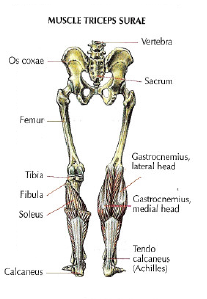 This means that it is useless to raise the leg very high laterally if the morphology doesn’t allow it. 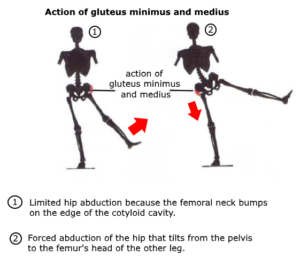 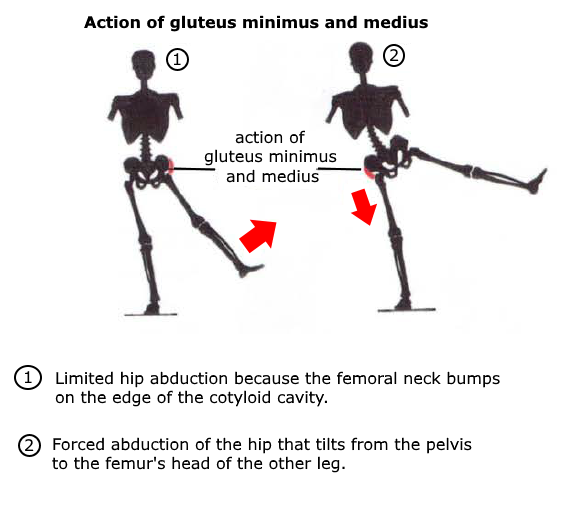 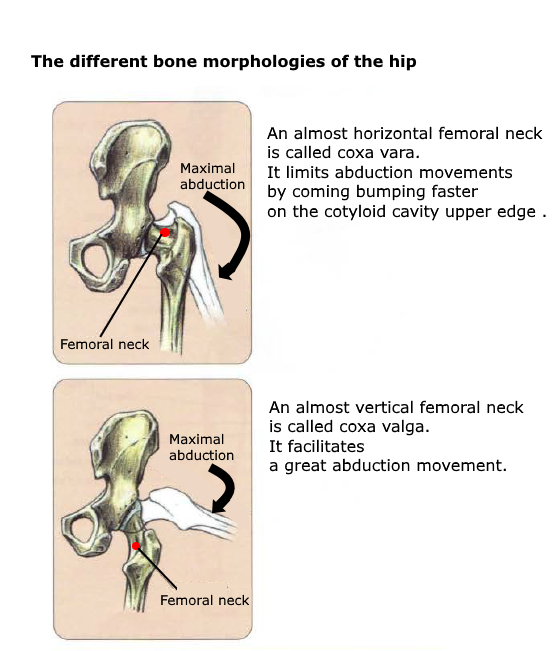 If someone forces the hip’s abductions, femur’s neck will bump on the cotyloid cavity edge. 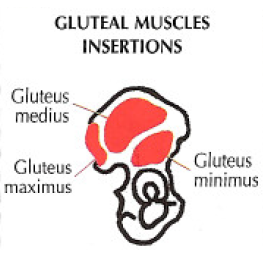 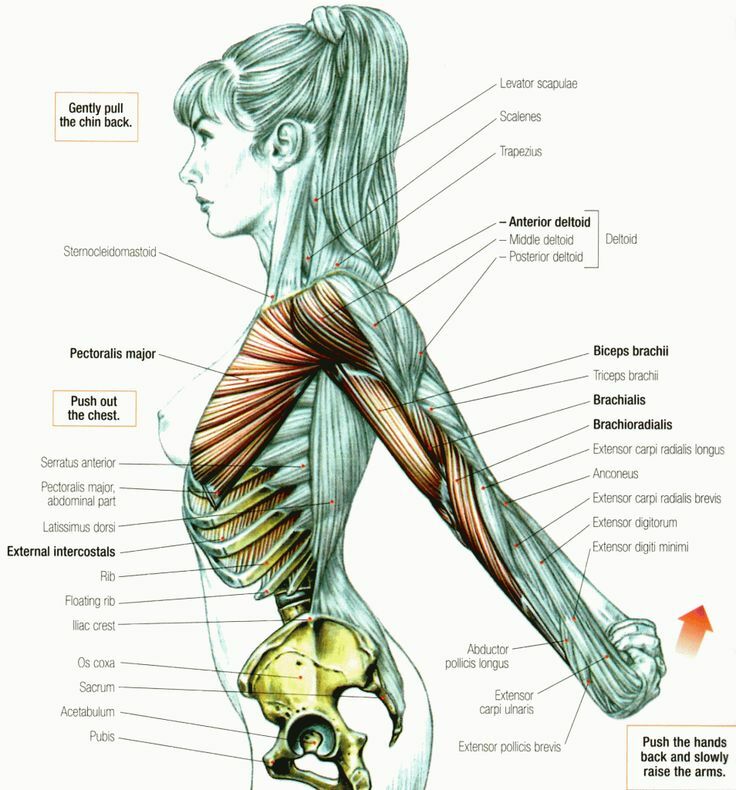 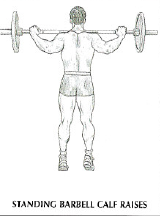 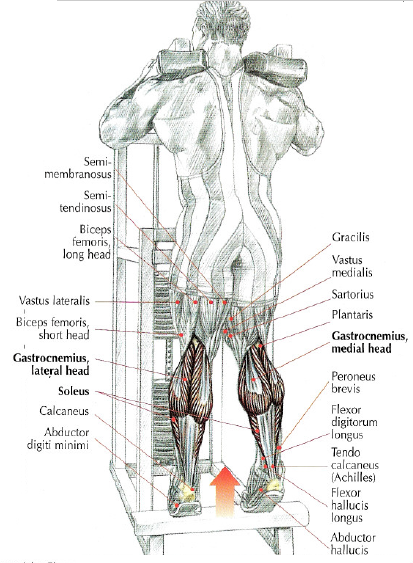 And this person will compensate the lateral raise of the leg with a pelvic tilt on the femur head of the other leg. 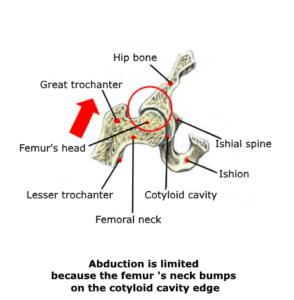 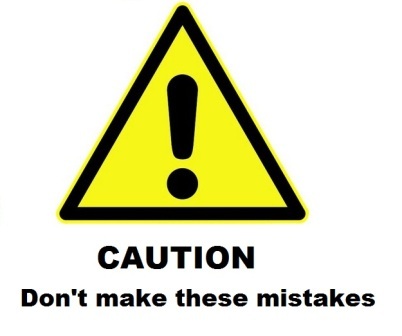 It should be added that forcing oneself to make abduction sets may, over time, create microtraumas in some people that will cause excessive development of the cotyloid cavity upper edge. 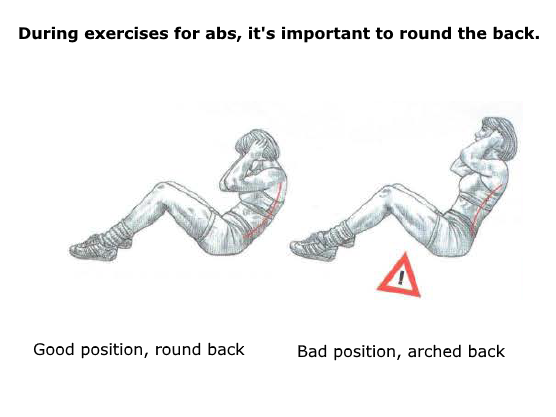 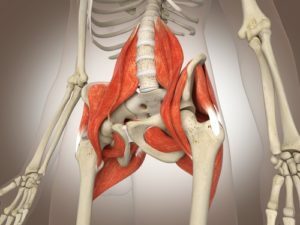 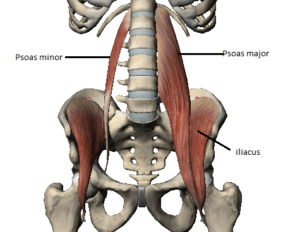 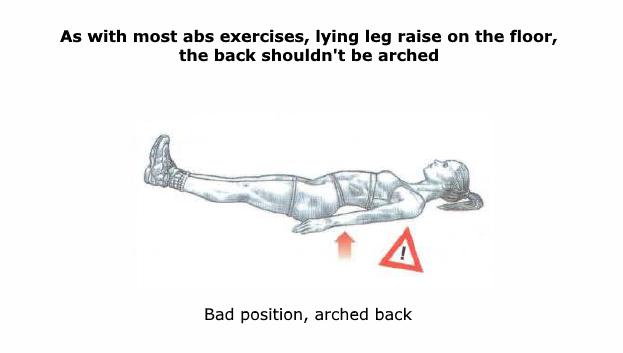 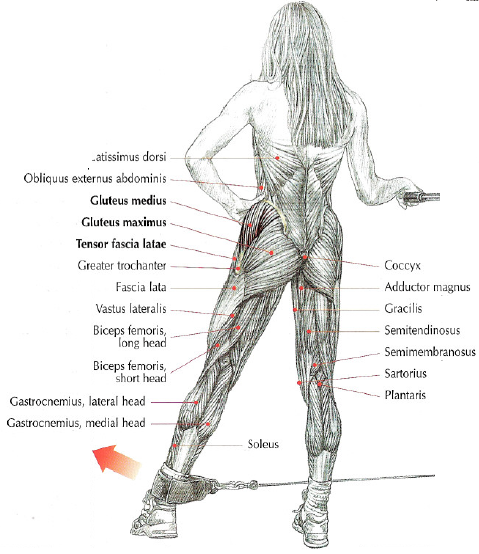 This has the consequence of limiting the hip’s mobility and creating painful inflammations.